This is only one in a series of such generally positive articles about Bachman that have appeared in the liberal media recently. The Washington Post, another non-conservative journal ran a big close up photo article of Bachman which trumpeted her $2 million fund-raising quarter which it glowingly reported out-raised Mitt Romney during the same period. The left wing media has thrown everything at Palin,whether true or untrue in an unceasing effort for over two years to try and destroy her. She is still standing tall and,should she choose to run presents a formidable challenge to the object of their affections, President Obama. Why else would they have undertaken such a massive effort if she was not a threat? What would not have escaped the media’s attention is that wherever there is an opinion poll which has both Palin and Bachman in it, Bachman draws up to 7% of the vote. It would most certainly be a case that if Bachman’s name was not on the list, that the bulk of her support would have gone to Palin. With Bachman drawing off whatever amount she does the media can put out the story that Palin is “slipping in the polls” or that Romney or Pawlenty are drawing near or ahead of her . The left also realizes that should Bachman actually start a quixotic campaign, she has of course absolutely no chance whatsoever to get the nomination, much less win a presidential election, if she ran in the Iowa primary, she might draw enough from Palin to possible have her come second,especially if Huckabee runs. Such a result for Palin would give her a much harder row to hoe, especially with New Hampshire up next where Romney is expected to win easily. Therefore it is very much in the left’s interest to run a stealth “stop Palin” campaign by making Bachman seem electorally viable to as many as possible. That, if by some miracle Bachman actually got traction from all this false puffery, the media would tear her to shreds with such vehemence that I feel sorry for her even at just the thought of what they would dredge up from some of her more off the wall statements and gaffes. It is actually very much in the interest of the Republican party to disabuse Bachman of any thoughts of actually announcing a run, just as they stopped her from holding a senior congressional post after the November elections. The greatest service she could perform is to back off from the presidential campaign, support the nominee, and consider her options in later years. 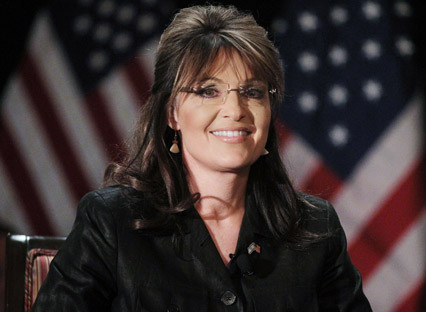 SPIB Poll: When Will Sarah Palin Announce? M. Joseph Sheppard’s “A Point of View” blog has a new poll asking what day in September Governor Palin will announce her candidacy. Go here to vote! July has come and gone, and we are still waiting for that highly anticipated announcement from Governor Palin. So it now appears that our SPIB poll was a little short-sighted. At 31.25 % of the total vote, July 4 got the most votes. Yours truly was one of those who was certain Governor Palin would announce on that day. But the wait will be worth it. Various predictions have been made for September and possibly August. 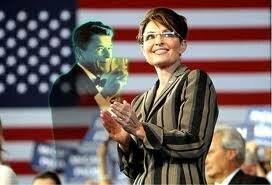 But as we have learned, Governor Palin’s timing is her own, and it is always meticulous. All eyes are on her Restoring America Event in Iowa on September 3 for a possible announcement date. That particular date is the third anniversary of her RNC acceptance speech. However, some think that Constitution Day on September 16 is a possibility. So we wait and hope for our great country’s sake that she does decide to run and that she wins a landslide victory in 2012! PLEASE BE SURE TO VOTE IN THE POLL AT THE BOTTOM OF THIS ARTICLE! After some boilerplate comments about how “local government is the most responsive and responsible to the will of the people” she paused for a moment and stared out across the ballroom. And then came this: “That’s why I think every president should have a run at gaining experience by being a councilmember, a mayor, a governor, a VP candidate, a commercial fisherman, a hockey mom.” As the attendees cheered, Palin made a halfhearted attempt to quiet them down. “No, I’m kidding,” she said, beaming. “I try to be funny sometimes. I’m kidding.” But they hoped she wasn’t. It’s time a woman became president of the United States of America. While we wait, we thought we’d have some fun with a poll to see when our readers think Governor Palin will make her announcement. Will it be April, May, June, or July? At one of her scheduled events or in between? Select the date in the poll you think Governor Palin is most likely to announce. Obviously, the results of this poll will not affect Governor Palin’s decision, but we thought it would be fun to find out what our readers are thinking. Ryan’s plan will slash $5.8 trillion from current spending levels over 10 years, but would not balance the budget for at least two decades. It also proposed huge reforms to Medicare and Medicaid that he said would save the programs, and that Democrats say would hurt the elderly and poor. The Ryan proposal is likely to become part of the GOP’s platform in 2012, regardless of who is the Republican Party’s presidential nominee, according to NY Times columnist David Brooks. All eyes and ears are on Gov. Palin, who has made no secret of her interest in running for president in 2012, but has not yet announced whether she intends to run. A Sarah Palin E! True Hollywood Story coming soon? Mediaite.com is reporting that possible 2012 GOP presidential candidate Sarah Palin will be featured on E! True Hollywood Story later this month. The program, known for its account of celebrity scandal, murders and celebrity gossip will take their own look at the woman who has taken politics by storm. Documentarian and political activist John Ziegler, who produced the definitive film on media bias in the 2008 presidential election, Media Malpractice: How Obama Got Elected and Palin Was Targeted, told Hot Air that E! Entertainment Channel has licensed his film for the upcoming “True Hollywood Story” look at Palin — and that Palin supporters may well be pleasantly surprised by the results. According to Ziegler, E! will announce soon that the program will air on April 20th. At the Hot Air April poll which was notable for the stringent mechanism they undertook to ensure there was no double voting Sarah Palin absolutely ran away with the massive 7000 vote poll. She not only had three times as many votes as Romney but had more than all the major front runners combined-an astonishing result. This poll result only goes to reinforce what has been apparent in poll after poll-the grass roots want a true conservative which fact the media steadfastly ignore.